Letter: Think globally. Vote locally! On Nov. 6, Amherst is doing something for the first time: electing a Town Council. In March 2018, Amherst voted to reorganize its town government, creating a new era and new opportunities for the town. In this historic election, students should make their voices heard. The University of Massachusetts has a rich history of activism and 2018 is no exception; students and young people continue to lead the fight against hatred and injustice. But one thing remains true: students don’t show up for local elections. For example, in the March 2018 town election, only 12 students living in UMass dorms voted! As three Town Council candidates running to represent districts with large student populations, we encourage students to vote in November. But when talking to students we often hear two reasons why students don’t vote in Amherst elections. First, many students simply aren’t registered in Amherst. Not only are students residents of Amherst, but they make up a significant proportion of residents. Fifty-six percent of Amherst’s population is between 18 and 24 years of age. Students live in Amherst, September through May, meaning they spend more of the year here than anywhere else. While here they rely on the town, from Amherst’s first responders to our roads and bike lanes. And the town relies on them. The colleges are the economic engine of our community, providing much of what makes living here so desirable. And students contribute to the local economy, supporting our local businesses, our labor force, employed as bus drivers, childcare providers, healthcare support, restaurant workers and so much more. Students can and should register to vote in Amherst. Many students also feel the actions of Amherst’s local government don’t really affect them. But two examples reveal otherwise. Most important is housing; rental prices in Amherst are higher than surrounding towns, and apartments are sparse. It’s hard for any renter, student or non-student, to find available, affordable and adequate housing. This is avoidable and the result of past actions that constrained new housing development. In this election, students have a clear interest in electing Town Councilors that will work to increase Amherst’s affordable housing supply. The second issue is marijuana. In 2016, 73 percent of Amherst voters supported the legalization of recreational marijuana. But the law leaves substantial authority to individual cities and towns to regulate marijuana. In response, some nearby towns, Hadley and Granby, passed temporary moratoriums on dispensaries, while others, South Hadley, passed outright bans. Amherst has begun the work of regulating marijuana dispensaries in town, and Amherst’s new Town Councilors will continue that work. 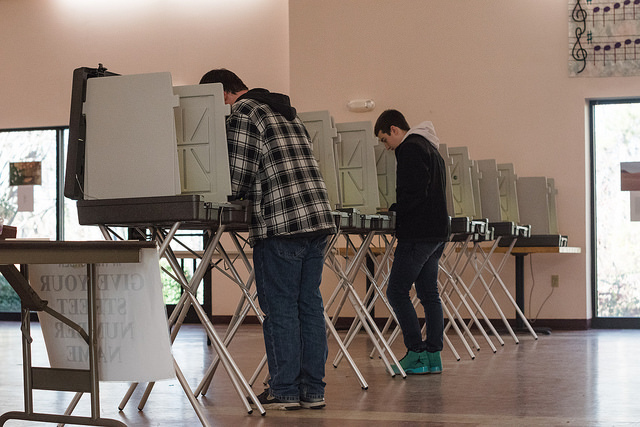 Students should elect Town Councilors that will carry out the will of Amherst voters. These are just two of many ways that local government actions will affect students. Students have an important say in Amherst. On the precipice of this new era, students must demonstrate that their voices and their votes matter, and ensure they elect Town Councilors that represent their interests. The deadline to register to vote is Oct. 17. You can go to www.vote.gov to change your registration to your UMass dorm or Amherst apartment address. The election is Nov. 6. You will receive two ballots, one for the state election and one for Town Council; be sure to fill out both. Register, show up and vote! And if you vote here AND your home, you should get five years of hard time. I know all the candidates hoping to represent you, as students, are looking for ways to connect, listen, and engage so that we know what issues are important to you. I encourage you to learn about the candidates, ask questions, and then vote in the November election.